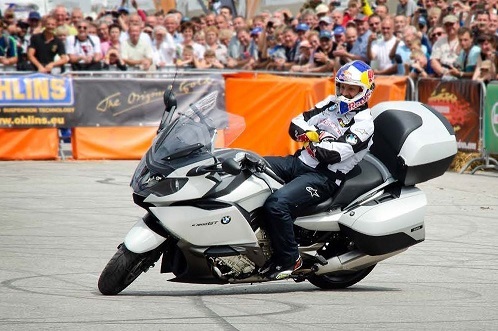 Here we are again …… looking forward to another BMW Biker Meeting at Garmisch Partenkirchen! Surely another event not to be missed! Those who have been there already know what this all about ….. in few words, bikes, shows, entertainment, food and above all some great Bavarian beer 😉 Surely an event not to miss for all bike lovers!! BUT, BMW owners will appreciate this event even more 😛 Then if you don’t own one, this is ANOTHER reason why you should consider the option to go for a BMW! This year BMW has once again thought to organise something to make this even a more memorable one, adding a bike tour around the Biker Meeting event! It’s a 9 day European Adventure packed with great roads, stunning scenery and …… amazing food 😉 The main focus of this tour will be France and Germany! 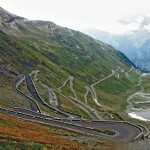 Riders will have the pleasure to cross the Rhine, get to the Black Forest, end on the banks of the river Danube, ride through some of the most spectacular scenery of the Bavarian roads with views of some great landmarks, such as the famous Neuschwanstein Castle, ride through the Alps, including the Stelvio Pass, etc … etc …. Before getting to Garmisch, BMW are even trying to organise a visit to the BMW Welt! 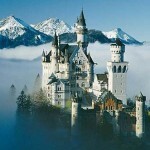 Surely a place to visit in a lifetime to all vehicle lovers, especially to BMW owners / lovers!! 9 days of riding & fun together with some like minded people all for a bargain £1095 (solo rider in a shared room). There’s 4 tickets left for this trip and as an extra special last minute treat they’re offering a “buy one, get one free offer”! Hurry up as this means there only 2 pairs left!! You wish to book? Then Call John on +44 1420 587 007 , email john@bahnstormer.co.uk or you can email us too and we’ll guide you accordingly!